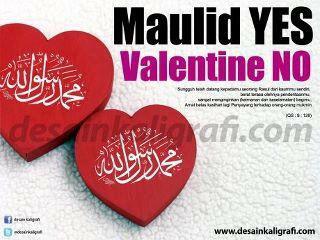 Home » agama » Valentine Day is Not Allowed in Islam...! Valentine Day is Not Allowed in Islam...! "And whoever seeks a religion[a way of life] other than Islam, it will never be accepted of him, and in the Hereafter he will be one of the losers"
Who was Valentine? Why is this day observed? Valentine's Day began as a pagan ritual started by Romans in the 4th century BCE to celebrate "Feast of the Wolf" on February 15, also known as the Feast of Lupercalius to honor the god Lupercus.The main attraction of this ritual was a lottery held to distribute young women to young men for "entertainment & pleasure"-until the next year's lottery. Christianity tried, without success, to stop the evil celebration of Lupercalia. 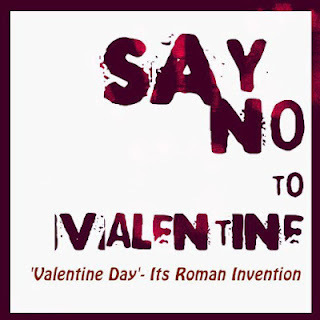 The only success it had was in changing the name from Lupercalia to St. Valentine's Day. It was done in CE 496 by Pope Gelasius, in honor of some Saint Valentine. There are as many as 50 different Valentines in Christian legends. May allah almighty save us all from Haraam Cultures...! 0 Response to "Valentine Day is Not Allowed in Islam...!"